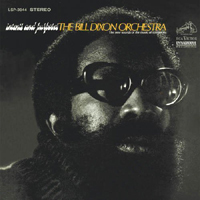 The under-recorded yet highly regarded trumpeter/composer/writer Bill Dixon teams up with renowned free-jazz, improvising drummer Tony Oxley on Papyrus Volume I. 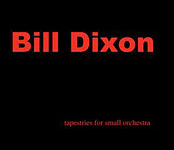 Here, Dixon extracts unusual sounds from his horn via sparse, irregular lines as he shapes spacious themes while affording the listener an opportunity to contemplate time and motion throughout these 12 pieces. The ever-inventive Oxley possesses a signature style and is revered for his unorthodox employment of the drum kit, percussion instruments and array of multicolored cymbals. The duo intersperse co-operative dialogue yet serve as colorists and purveyors of enigmatic albeit spirited interplay which is often subtle and wavering yet strikingly unique. Underneath all of this is a heartbeat or pulse, which enhances the cosmic-like or ethereal patterns while at times subliminal and for the most part, seamless and transparent.